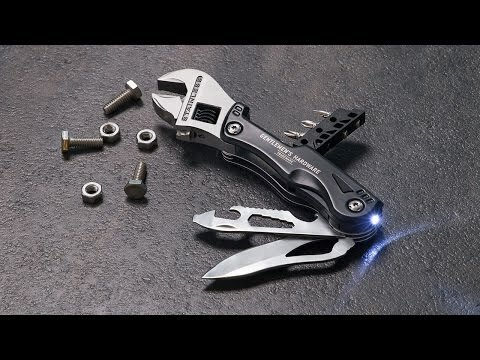 Keep your wheels spinning with a multi-tool that fits right in your pocket. With its rugged build and beautiful packaging, this vintage-looking Bicycle Repair Multi-Tool includes a hex key set, a chain breaker tool, and a socket tri-tool. A perfect accompaniment for long bike adventures or just a short trip around town. Dimensions: 3.6" x 2.4" x 1.1"